Little man was so excited, he ran from one thing to another, not really knowing where he wanted to go (he’s only 3!). When I went to drop my entries off for the Craft Competition first the yesterday morning, it was torrential rain but thankfully it cleared up not long afterwards and we had beautiful blue skies. One of Little Man’s favourite things were the animals. 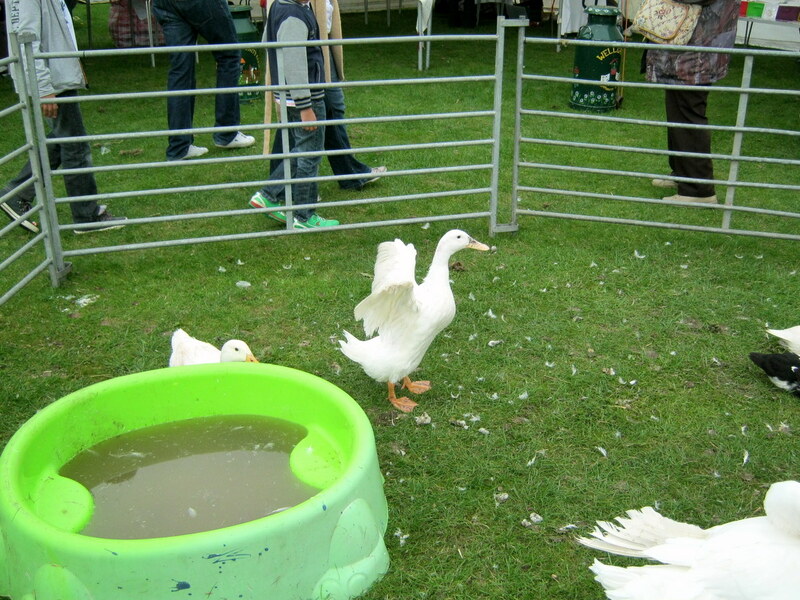 These are the duck but they had goats, ponies, turkey’s, rabbits and sheep. 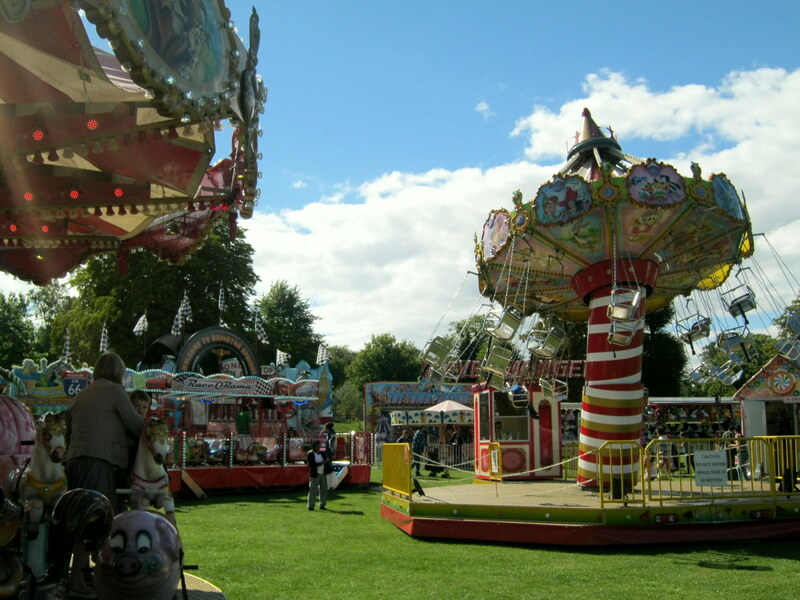 Next to the animals was a tent with people spinning wool. Little Man particularly enjoyed this part as he’s very interested in yarn (he ‘borrows’ mine enough!). 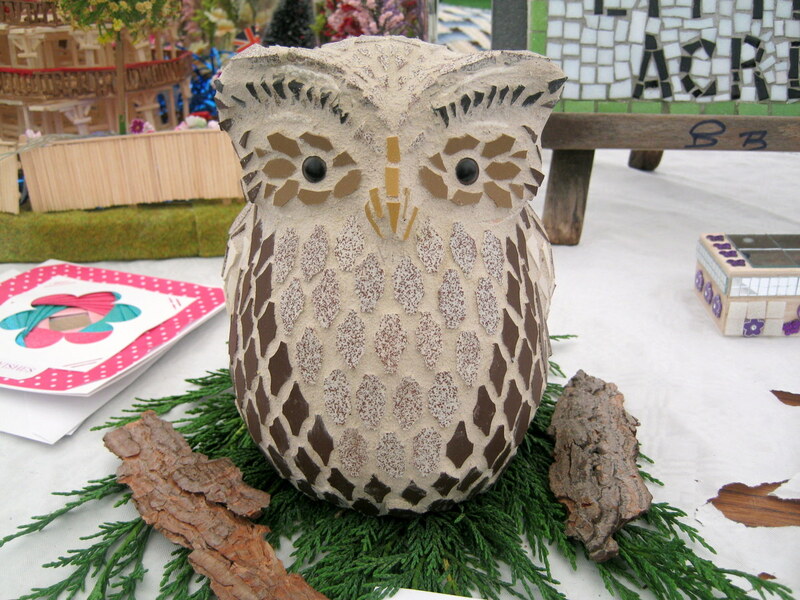 I’ve already mentioned that I entered a few things into the Craft competition. It’s not just craft, there are loads of categories from flower arranging to bee keeping to baking to growing vegetables. 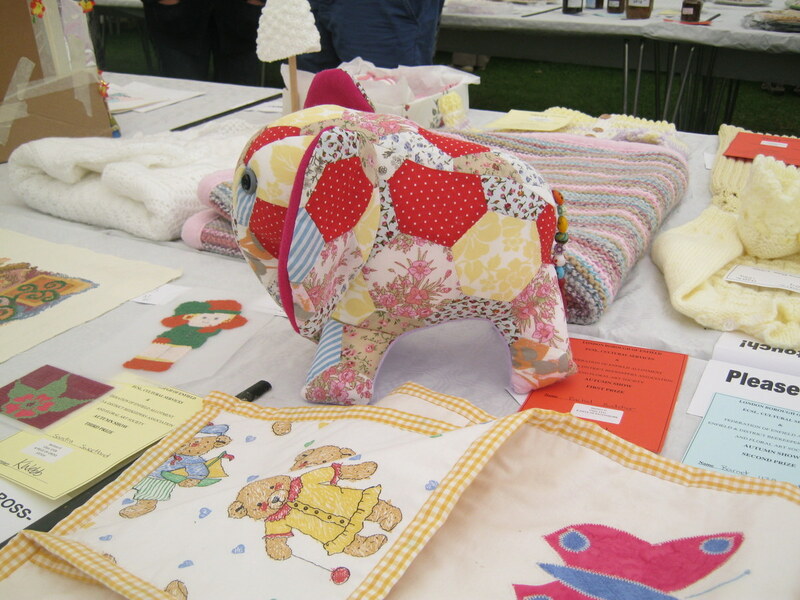 I entered this little fellow into the Patchwork class and was lucky enough to win first prize! (the pattern for ‘Charlie’ can be found at the lovely Bustle and Sew). I also added a couple of things into the knitting and crochet classes. My poncho didn’t get placed (I didn’t expect it to be as to be honest there were so many beautiful things, I really hadn’t put enough time into it) but this little crochet dress came first in the Baby Garment category 😀 (you can find the pattern for it in issue 41 of ‘Inside Crochet’ Magazine). 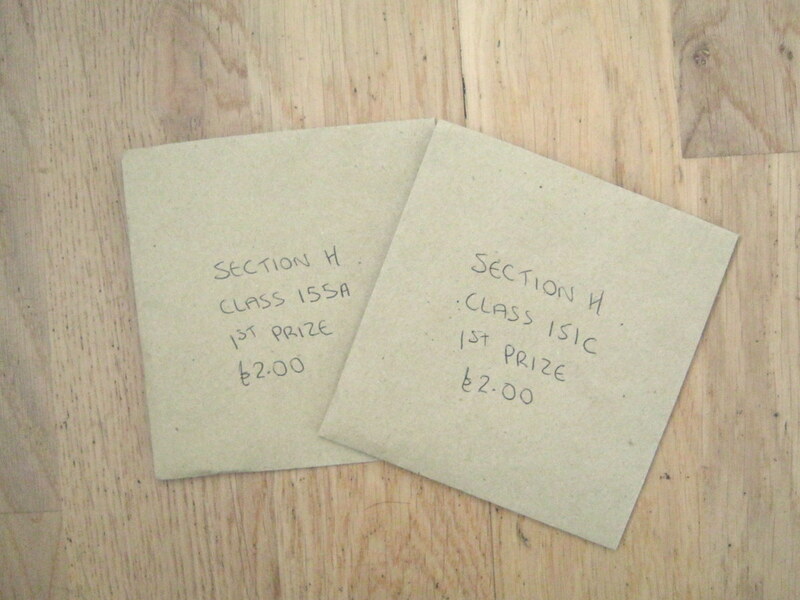 I really didn’t expect to win anything so was thrilled to win two classes! 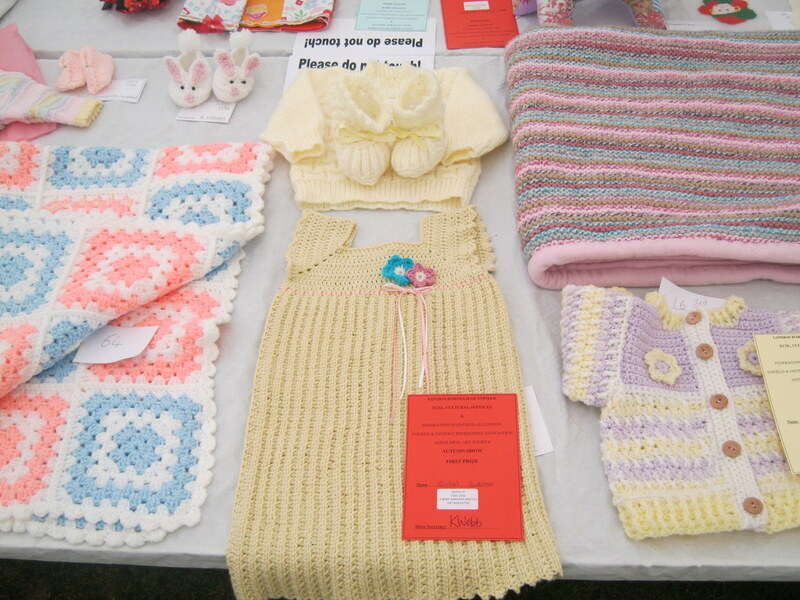 I feel passionately about craft and handmade items but I meet so many people who think that sewing and crochet is just for the more mature people; I wanted to show that it wasn’t! I wanted to enter a few items that were a bit more on trend at the moment. Having said that, I love looking at the other items entered as I appreciate how much time, skill and love have gone into them. Here are a few of my favourites from the other classes. 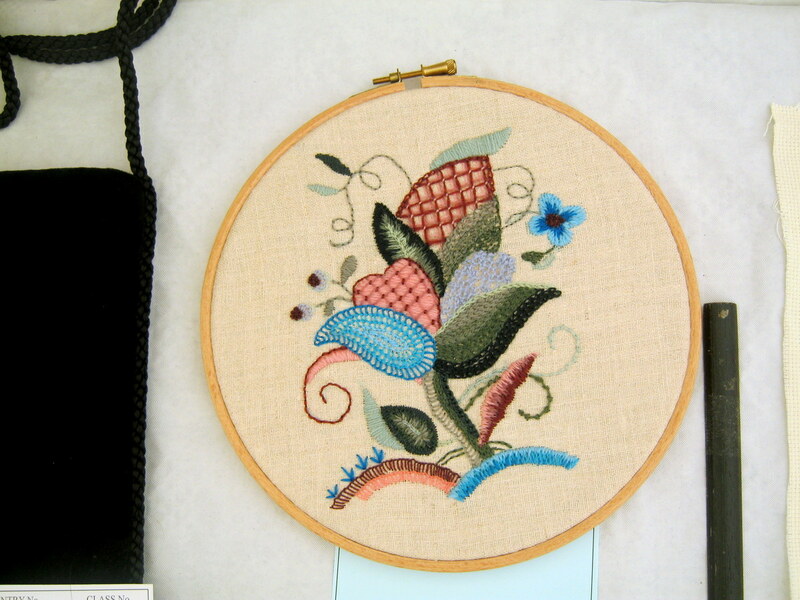 This one is from the needlework class. Isn’t she lovely? 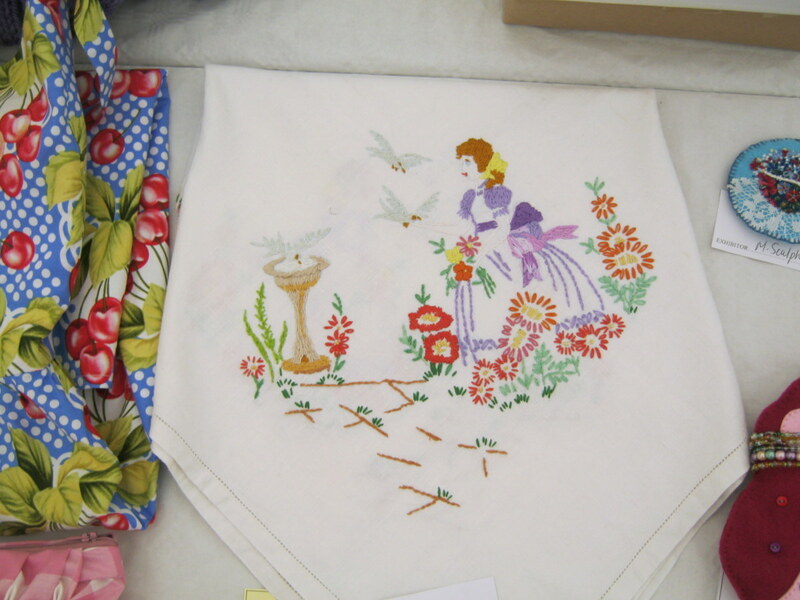 This one was also in the needlework class. I particularly like the choice of colours and would love to have something like that on my wall! 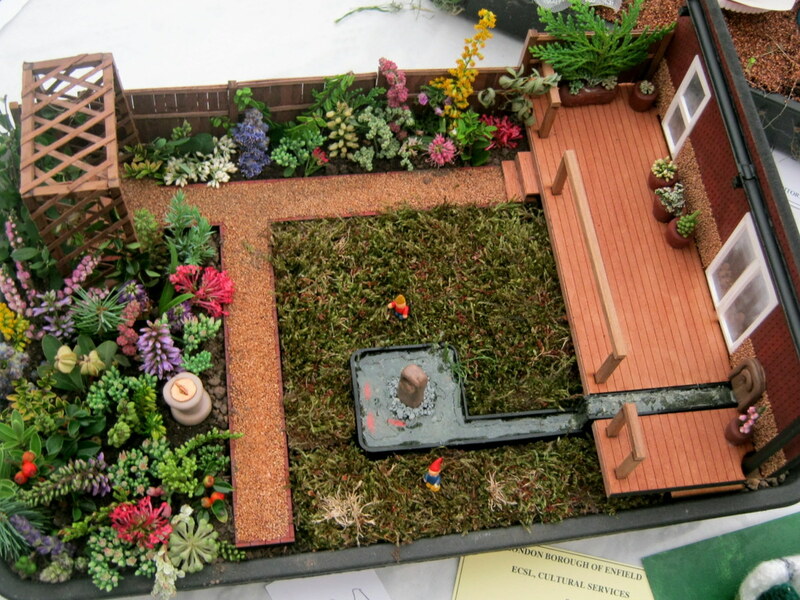 This is one of the miniature gardens. If you look closely you can see there’s a gnome and fish in the pond! It looks like so much fun to make, I’m tempted to try and make one next year. (although it wouldn’t be nearly as good as I’m pretty hopeless at this kind of thing!). This little guy was in the ‘anything else’ class. Sadly he didn’t win a prize but I love him. Finally, here’s my prize money (I was joking with the ladies organising it and they dared me to post a picture of it as it’s obviously a life changing amount of money lol). Still, I was chuffed to win and I think they were very generous!